One of the greatest engineers of the Victorian era was born on 9 April 1806. Isambard Kingdom Brunel was one of the giants of the Industrial Revolution, building dockyards, tunnels and bridges (including Bristol’s Clifton Suspension Bridge), the Great Western Railway from Paddington to the west country, and huge steamships, including the Great Eastern, the Great Western and the Great Britain. 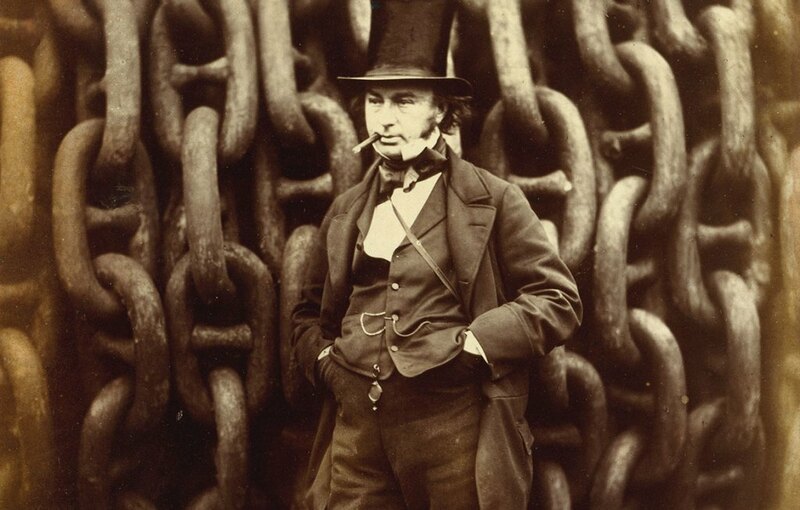 Brunel’s father – Marc Isambard Brunel – built the Thames Tunnel between Rotherhithe and Wapping. This was a project that took 18 years to complete and almost cost the young Brunel his life when the tunnel flooded and the unconscious Isambard was pulled from the water moments from death. The tunnel is now part of London’s overground railway, and the Rotherhithe end is the home to London’s Brunel Museum. You can find out more about Brunel’s work in our Guide magazine article, where South West guide Mike Rowland explains about Brunel’s engineering legacy in Bristol.